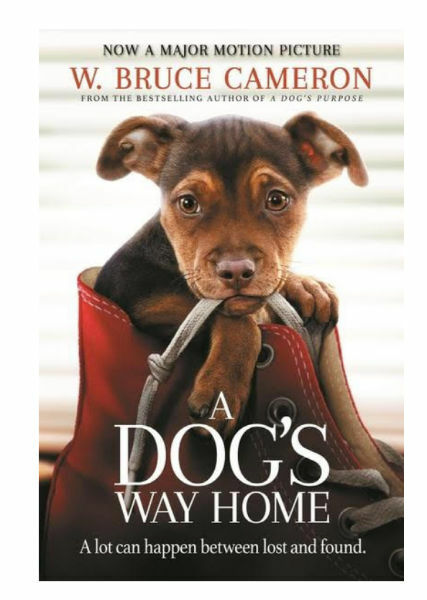 Based on the bestselling novel by W. Bruce Cameron, A DOG’S WAY HOME, the film chronicles the heartwarming adventure of Bella, the brave and adventurous dog that embarks on an epic 400-mile journey home after she is separated from her beloved human, Lucas. A DOG’S WAY HOME highlights the power of unconditional love between man’s best friend and its human companion. The film stars Ashley Judd (“Twin Peaks”), Jonah Hauer-King (Old Boys), Edward James Olmos (“Mayans M.C.”), Alexandra Shipp (Love, Simon), and Wes Studi (Hostiles ) with Bryce Dallas Howard (Jurassic World: Fallen Kingdom) providing the charming and lovable voice of Bella. A DOG’S WAY HOME is produced by Gavin Polone (A Dog’s Purpose, A Dog’s Journey) and directed by Charles Martin Smith (Air Bud). I have to admit that I am a cat person so this film was a stretch for me, but there are some cat characters in the mix so I was in! If you love dog’s this is the film for you. It has everything in it, at least that I associate with dog’s, loyalty, friendship, and uncondtional love. The film runs about 96 minutes, but seemed a bit longer to me. The pace is slow as Bella makes her journey home. I couldn’t wait to see what adventures unfolded so I was anxious for this dog to make her way. You really root for her along the way. She encounters many perils, and I was worried at times for her. A beautiful film for a family to share together. The home version also comes with a extras like a DIY guide to make doggie treats! A true full circle movie experience. A DOG’S WAY HOME has a run time of approximately 96 minutes and is rated PG for thematic elements, some peril and language. 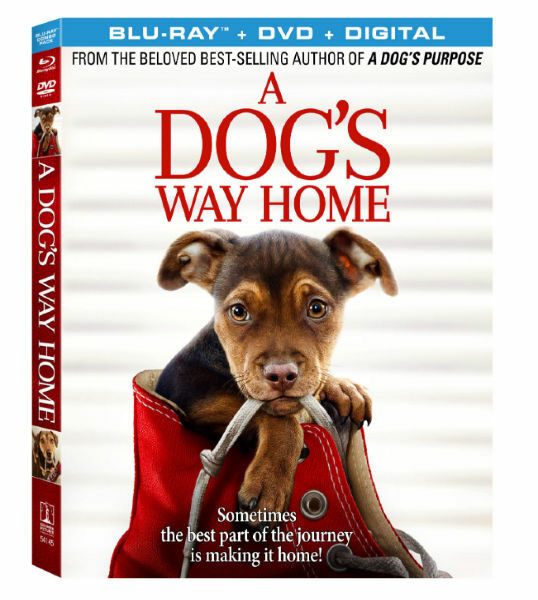 Enter to win a copy of A Dog’s Way Home on DVD and a copy of the book! Giveaway is US ONLY, 18 and over to enter! Giveaway ends April 18, 2019. Good luck! Each comment is worth 1 entry with the exception of subscribers! Subscribers get 5 entires! If you are a subscriber leave a comment with the email address you have subscribed with and if you are a new subscriber Click HERE to sign up! Easy Entry: Just leave a comment telling me that you want it! Other ways to enter! Do one or do them all 1 entry each! 4. Extra entry for leaving a comment on a non-giveaway post – you must leave a comment here as well to tell me that you have done so to get the entry. 5. Follow Be Your Best Mom on Instagram and leave me a comment here that you have done so! 6. Follow Be Your Best Mom on Pinterest and leave a separate comment! Be sure to leave a separate comment for each entry! Winner will be chosen at random. Both the movie and book look really good! I’d love to own this movie! Thanks for the chance! Oh my gosh, I really want this movie!!! I would love this movie. I would love to see this movie. I enjoy watching movies about animals. My boys would really enjoy this movie! I’d love to read this book and watch this movie! My kids would enjoy this movie and I’m always on the hunt for a new book. Win Win! I follow on Twitter. I’m @4StephanieD. I tweeted on Twitter at https://twitter.com/4StephanieD/status/1118631646310424576. I follow you on Twitter (as yonawrites). I follow you on Instagram (as yonawrites). I follow you on Pinterest (as yonawrites). I left a comment on Just Dance 2019 post. I would love this! Looks like a cute movie! I would love to have a movie night with my family!! I want this for my granddaughters.